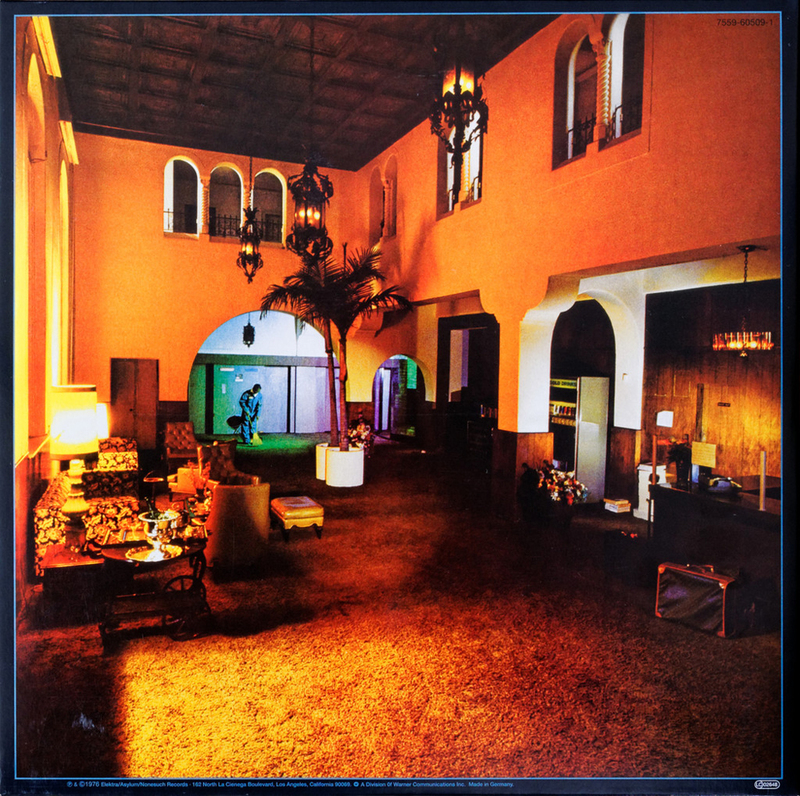 Neither the front, back or gatefold photos used on The Eagles album “Hotel California” were photographed at an actual hotel named California. 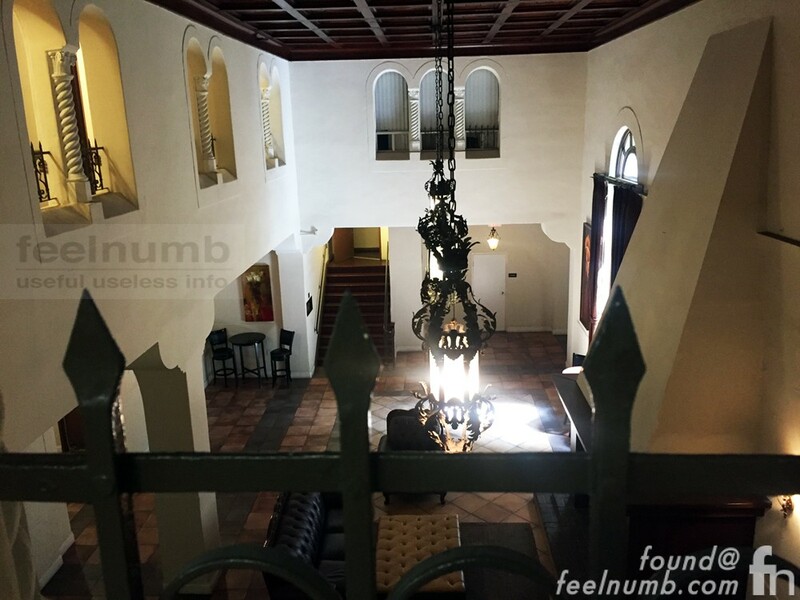 We previously wrote all the details about the classic album cover photoshoot at The Beverly Hills Hotel. 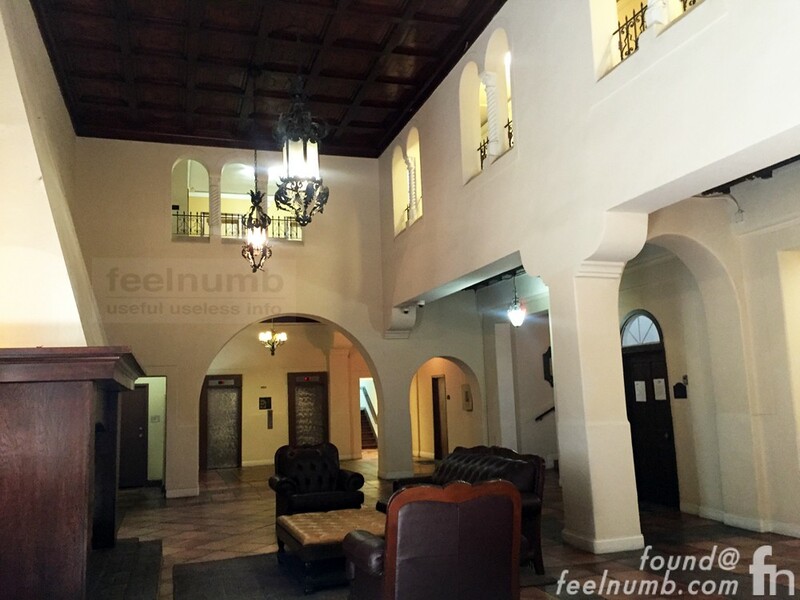 The back cover of the album shows the empty lobby of a hotel with one lone figure sweeping up the floor. The back cover photo was not shot in The Beverly Hills Hotel lobby but rather in the lobby of the much lower budget Lido Hotel on the corner of Yucca Street & Wilcox Avenue in Hollywood, California. 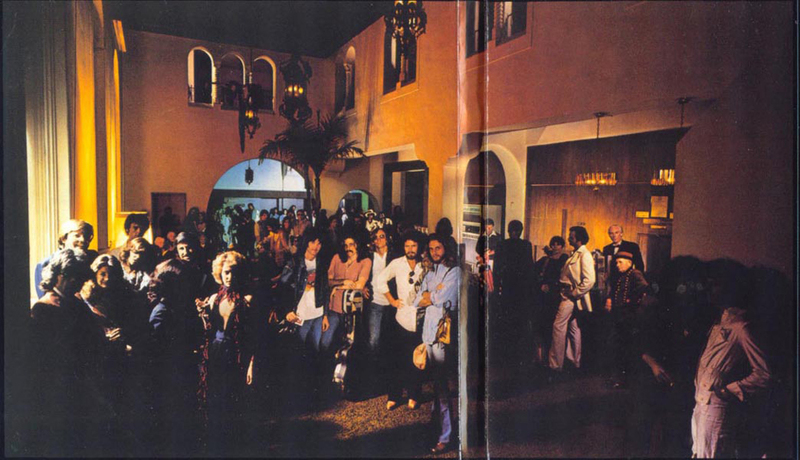 As was the famously eerie gatefold photo of Eagles Don Felder, Glenn Frey, Don Henley, Randy Meisner & Joe Walsh surrounded by friends (none of which have been identified). Henley wanted an image of California as the greatest melting pot in the country. 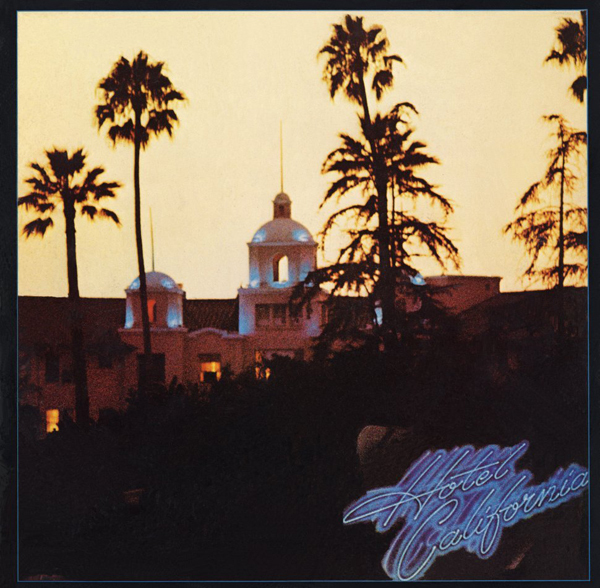 The song “Hotel California” has inspired a number of conjectural song interpretations ranging from hedonistic to satanic or speaking about heroin addiction and even cannibalism. 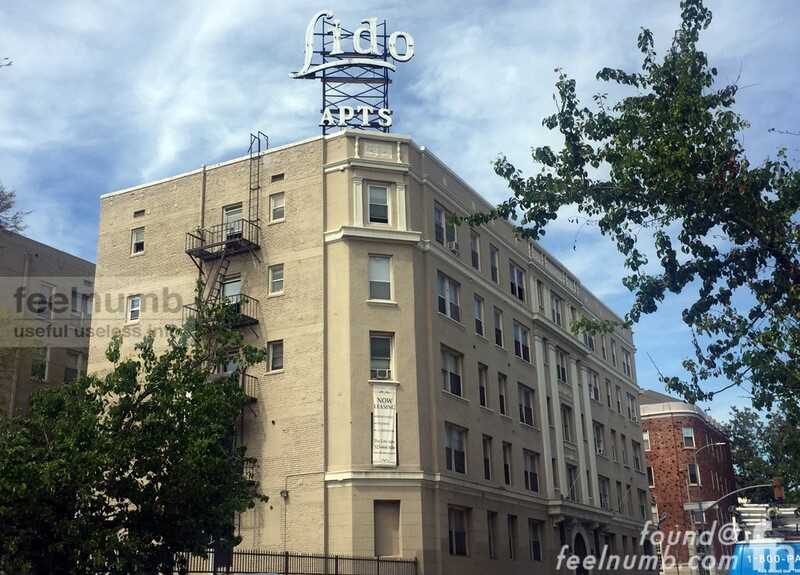 Either way, growing up I was always freaked out by the photo and the ghostly figure that appears on the balcony above the lobby. Many who look at that photo claim this person was Anton LaVey, the then leader of the Church of Satan. Most reports simply claim that the shadowy figure was a woman hired for the photo shoot (anyone know her???). 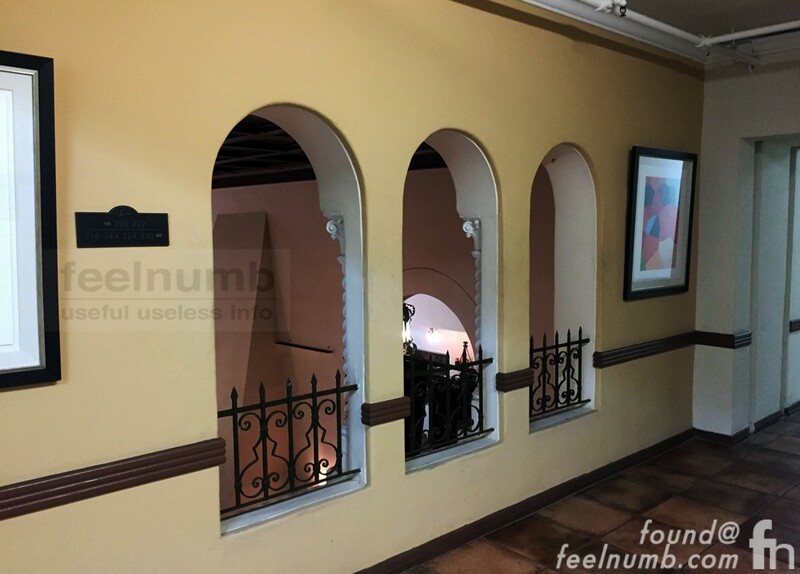 Here is a feelnumb.com EXCLUSIVE photo I took from where the mystery woman would have been standing. This would have been her view looking down at the gathering. 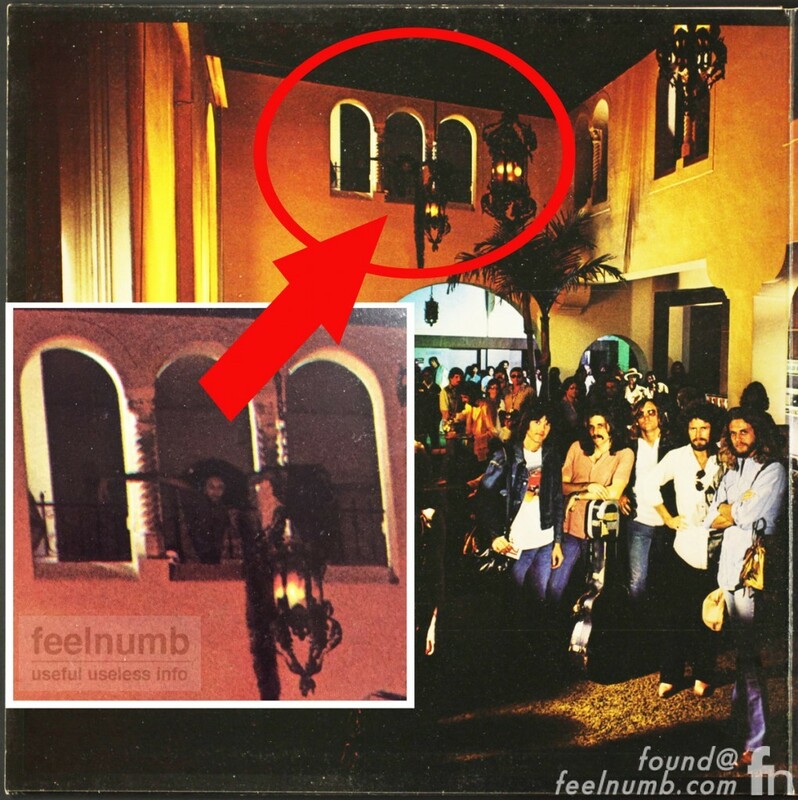 The mythology and mystery of album cover photos is one of my favorite topics here on feelnumb.com. Next mission is to start identifying all the people in this photo. Leave a comment below if you are or know anyone in the photo. Kurt Cobain's Giggle In Nirvana Song "Milk It"
Is That David Lee Roth's "Thingy" On The Back Cover of Van Halen's Debut Album??? Why Did Kurt Cobain Write FUHGAWZ On His Shoe??? The Infamous Nirvana "Walmart" Edited Version of "In Utero"